Arguably the most important benefit of Krill Oil is its powerful anti-inflammatory benefits. Inflammation is your body’s normal response to injury or infection. However, chronic inflammation is much more serious. Chronic inflammation over long periods of time can be linked to heart disease, stroke, Alzheimer’s disease, and other serious conditions. With the rising benefits of Krill Oil, the market share of this nutritional supplement is expected to climb over the next several years. As health consciousness has become more predominant in society, the demand for Omega-3 fatty acids and consumption of Krill Oil has increased. Currently, Europe has captured the maximum share in revenue of Krill Oil and is anticipated to dominate over the next few years. The global Krill Oil market was valued at $267.7M in 2014. This is expected to reach a value of $703M by 2022, expanding at a CAGR of 12.9% from 2015-2022. Because Krill Oil supplements offer a multitude of benefits and appeals to many different consumer types, this supplement will continue to grow in the health and wellness industry. BioThrive Sciences offers private label manufacturing and contract manufacturing of all natural supplements, including Krill Oil. With every supplement we manufacture, we are committed to using the finest ingredients. BioThrive Sciences is proud to be the leading private label and contract manufacturer of supplements. With over 20 years of experience, we are committed to providing our customers with a very fast turnaround and competitive rates. 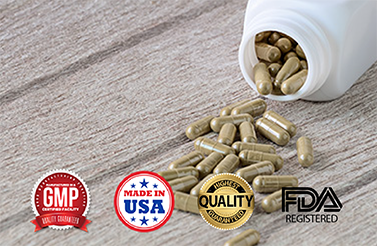 What makes us different than other supplement manufacturers is that we offer a multitude of other services, including packaging, private label creation, custom label designs, and international and domestic shipping – including drop shipping – right along with our superior customer service. Contact BioThrive Sciences at 844-263-3657, or fill out our online contact form and we will reach out to you as soon as possible.